The thyroid is a small, butterfly-shaped gland located at the base of the neck just below the Adam’s apple. It is part of an intricate network of glands called the endocrine system. The thyroid produces hormones which control how quickly the body burns energy, makes proteins, and how sensitive the body should be to other hormones. Thyroid diseases refer to benign or malignant disorders that affect the structure and function of the thyroid gland. Several disorders can arise when your thyroid produces too much hormone (hyperthyroidism) or not enough (hypothyroidism). Thyroid disorders represent an important public health problem worldwide ranking second to diabetes as the commonest endocrinological disorder seen in adults. 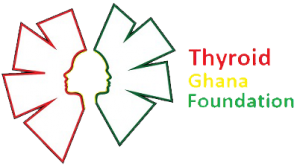 Iodine deficiency is a major public health problem throughout Africa and is the commonest cause of thyroid disorders in this continent. Autoimmune thyroid disease (AITD) is the most common organ-specific autoimmune disorder resulting in dysfunction (hyper function, hypofunction or both) of the thyroid gland. In hyperthyroidism, the thyroid gland is overactive; it produces too much of its hormone. This is an auto immune disease and one of the most common causes of hyperthyroidism in adults. In Grave’s disease antibodies bind to receptors on the surface of thyroid cells and stimulate those cells to overproduce and release thyroid hormones. As one ages, the thyroid gland develop lumps which completely remains non-functional or even inactive. But there are some rare cases in which these lumps start to function on their own, and therefore secrete hormones without any kind of initiation by the pituitary gland. Sometimes there can be a single lump or multiple lumps growing on the thyroid. The pituitary gland can initiate excess secretion of TSH (Thyroid Stimulating Hormone) which could lead to hyper secretion of the thyroid hormone leading to hyperthyroidism. During hypothyroidism, patients are given medications that always initiate the thyroid in producing optimum amount of the hormones. Excessive intake of these medications can trigger the excessive production of these hormones leading to hyperthyroidism. This usually happens when the patient fails to adhere to some of the follow up routines after being prescribed drugs for the treatments. Hyperthyroidism can occur when there is an inflammation of the thyroid gland leading to the secretion of abnormal amounts of hormones into the system. This condition is referred to as Thyroiditis. Hypothyroidism can occur if the thyroid gland fails to work properly, or if the thyroid gland is not stimulated properly by the hypothalamus or pituitary gland to produce enough thyroid hormone (thyroxine). One common cause of hypothyroidism is Hashimoto’s disease, also known as chronic lymphocytic thyroiditis or autoimmune thyroiditis. It is an autoimmune disorder in which the immune system attacks the body’s own cells and organs. The condition causes the immune system to attack the thyroid gland, leading to inflammation and interfering with its ability to produce thyroid hormones. 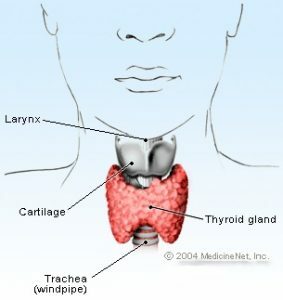 Thyroiditis is an inflammation of the thyroid gland. It causes thyroid hormones to leak into the blood, raising their overall levels and leading to hyperthyroidism. After 1 to 2 months, this may develop into hypothyroidism. Thyroiditis can be caused by viral or bacterial infection, an autoimmune condition or following pregnancy. In cases of congenital hypothyroidism, the thyroid gland does not function properly from birth. This can lead to physical and mental growth problems, but early treatment can prevent these complications. Radiation treatment of the thyroid can also lead to hypothyroidism. Radioactive iodine is a common treatment for hyperthyroidism. It works by targeting and destroying the cells of the thyroid gland and decreasing the production of Thyroid hormones. Radiation is also used to treat people with head and neck cancers, Hodgkin’s disease, and other lymphomas, which can lead to damage of the thyroid gland. If the pituitary gland stops functioning properly, the thyroid gland may not produce the correct amount of thyroid hormone. Pituitary tumors or pituitary surgery can affect the function of the pituitary gland. Sheehan’s syndrome is a condition that involves damage to the pituitary gland. Hyperthyroidism and hypothyroidism can be diagnosed by testing the levels of thyroid hormones in your blood. Doctors measure hormones secreted by the thyroid itself, as well as thyroid-stimulating hormone (TSH), a chemical released by the pituitary gland that triggers hormone production in the thyroid. In hypothyroidism, higher quantities of TSH are circulating in the blood as the body attempts to increase production of thyroid hormones. The reverse is true with hyperthyroidism, in which TSH levels are below normal and circulating thyroid-hormone levels are high. For thyroid disorders stemming from the over- or under-production of thyroid hormones, both conventional and alternative treatments offer varied methods to try to restore hormone levels to their proper balance. Conventional treatments rely mainly on drugs and surgery. Alternative treatments attempt to relieve some of the discomfort associated with thyroid problems or to improve the function of the thyroid gland through approaches ranging from diet supplements and herbal remedies to lifestyle changes and special exercises. However, most of thyroid conditions require treatment beyond the scope of home care alone. This requires suppressing the manufacture of thyroid hormone, while hypothyroidism demands hormone replacement. Conventional medicine offers effective techniques for lowering, eliminating, or supplementing hormone production. Before deciding which treatment is best for a patient, a doctor will make an evaluation based on the particular thyroid condition, as well as age, general health, and medical history of the patient. With radioactive treatment, the patient will be asked to swallow a tablet or liquid containing radioactive iodide in amounts large enough to damage the cells of the thyroid gland and limit or destroy their ability to produce hormones. Occasionally, more than one treatment is needed to restore normal hormone production, and many patients actually develop hypothyroidism as a result of this procedure. When a patient starts using anti-thyroid medications, the hyperthyroid symptoms should begin to disappear in about six to eight weeks. However, there will be a need to continue taking the medication for about a year. At that time, a doctor will check to see if the medicine can be stopped. There should be periodic medical exams once the patient is off the medicine to make sure that the condition has not returned. Surgery is usually reserved for pregnant women who can’t take anti-thyroid medicine, or people with large or toxic goiters or cancerous nodules. Hypothyroidism calls for a lifelong regimen of thyroid replacement. No surgical techniques, alternative medicine, or conventional drugs can increase the thyroid’s hormone production once it slows down. Doctors generally prescribe synthetic forms of thyroid hormone, such as levothyroxine. Side effects are rare, but some people experience nervousness or chest pain while taking these drugs; usually, adjusting the levels of medication will alleviate any unpleasant effects. A doctor must know if a thyroid patient is also taking tricyclic antidepressants, estrogens, the blood-thinning drug warfarin, the heart drug digitalis, or if he/she has diabetes, to make sure medications don’t interfere with the thyroid treatment. Magnesium, aluminum, iron and even soy may interfere. Thyroid cancer is usually initially treated by surgically removing either the cancerous tissue or the whole thyroid gland, a procedure known as a thyroidectomy. If the cancer has spread beyond the thyroid, any other affected tissue, such as the lymph glands in the neck, will also be removed.